The body as a source of subjectivity is one of the central political and poetical spaces that women’s and gender studies have reclaimed against patriarchal and metaphysical traditions. The volume explores the heterogeneity and the continuities in women’s thought and literature through the dialogue between different theories and narratives which, while rewriting the body and sexuality, also foreground the act of writing as an artistic, political and poetical act. 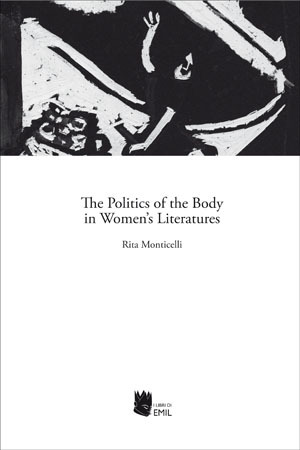 The Politics of the Body in Women’s Literatures shows that the search for body deconstruction and reconstruction was, and is, not only a theoretical priority: for women writers, such a search was, and is, one of the main sources of writing and artistic creativity, both before and during the process of theorisation of the body and subjectivity. Rita Monticelli, M.A, PhD, is senior lecturer at the University of Bologna, where she teaches English Literature/Postcolonial Literatures and Cultures, and Gender Studies. She is member of the academic staff for the international M.A. GEMMA (Women’s and Gender Studies) and the PhD in “Modern, Comparative, and Postcolonial Literatures.” Her research areas include: utopia, travel literature, memory and trauma studies, and the interconnection between literature and the visual arts. On these topics she has written numerous essays and articles. She has also published and co-edited volumes, including Lo stupore della differenza. Anna Jameson e la tradizione del racconto di viaggio (2000), Studi di genere e memoria culturale. Women and Cultural Memory with V. Fortunati and G. Golinelli (2004), Topografia delle culture with R.Vecchi (2011).